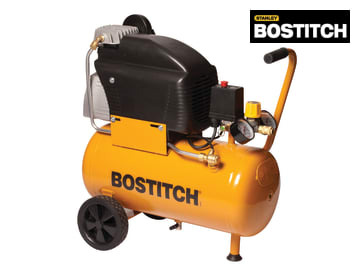 The Bostitch C24-U portable compressor is a compact and portable unit. 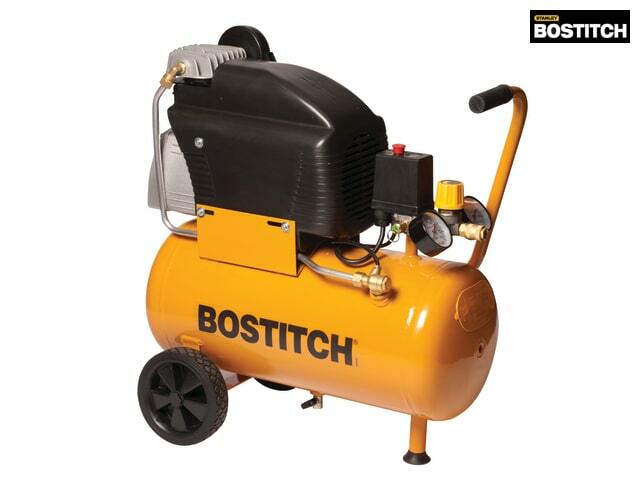 It has a powerful 2.2hp / 230 litres per minute motor and has up to 40% more air displacement than other 24 litre models. It has an oil lubricated pump for long term durabilty and performance, and the oversized twin tank/output pressure gauges complete with integral easy to adjust air regulator makes setting for the correct working pressure quick and easy. The ball style drain valve is designed for easy access and better durability vs. threaded drain valves. Litres/min FAD @7 bar: 100. Compressor Noise: 72db @ 1m.